Is Coconut Oil Bad for Me? Did you see the article shared by USA Today and many other news stations that stated how the American Heart Association says eating coconut oil isn't healthy? Here is the article. One line from the article states, "You can put it on your body, but don’t put it in your body," Sacks said. I know that as consumers this is SO confusing!! 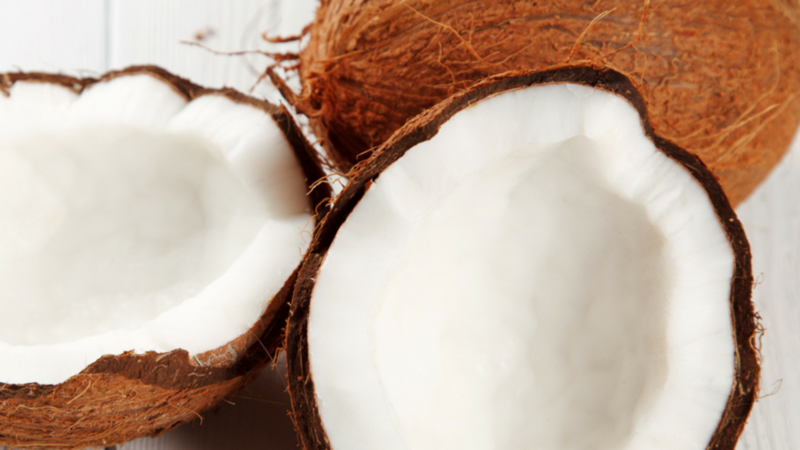 One group says coconut/saturated fat isn’t “bad,” and there this well respected organization is saying something different! What are we supposed to do? Well, we need to educate ourselves, people. The AHA is the same group who told us to eat low-fat foods loaded with sugar and margarine laced with trans fats. Ugh. 1. Let’s get on the same page- we all understand FAT is not bad, right? And that sugar is actually more the culprit for most health diseases!? 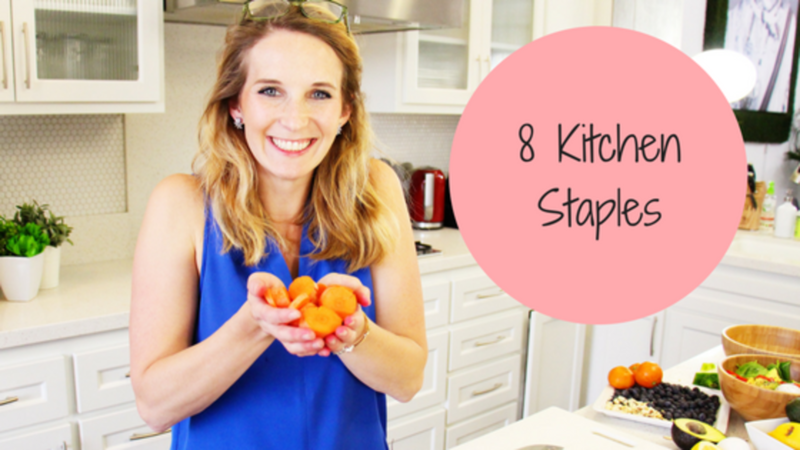 Stock up on these kitchen staples, and you will always have a wholesome meal and yummy snack on hand. 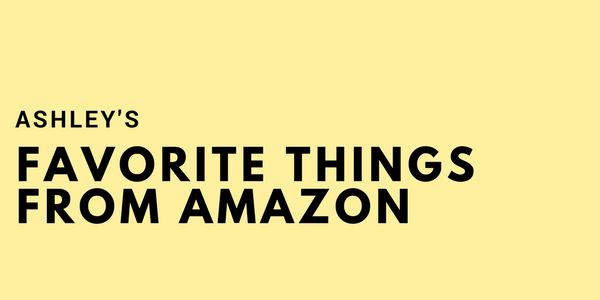 When you’re in a pinch, these food items are total lifesavers! Meal planning got away from you this week? No problem, defrost that frozen pound of ground beef. Then throw it in a skillet and season it to your preference. 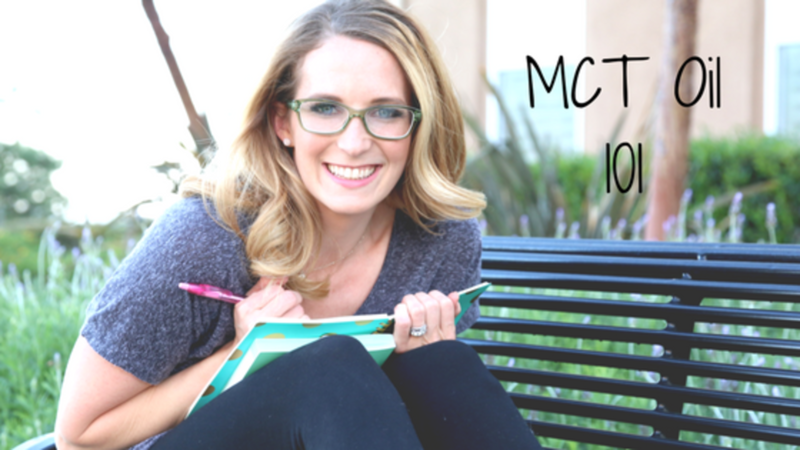 Tacos or a taco salad is an easy meal when you’re in a time crunch and one of my go-tos. I do recommend organic, grassfed meat, when possible. Next time you make a freezer friendly meal, double the recipe and store the second batch in the freezer for a rainy day. That way, when you have limited time or your little one distracts you and dinner goes from done to burnt (it happens to the best of us), throw that freezer meal in the oven. Done! “Mom, I’m hungry! I want a snack!” Many of us have heard this all too often! If you struggle to keep your kiddos full and satisfied, you’re not alone. A child’s typical snack tends to look more like dessert. Unfortunately, these sugary “snacks” are going to provide a quick burst of energy followed by a crash and hunger. It’s a vicious cycle. 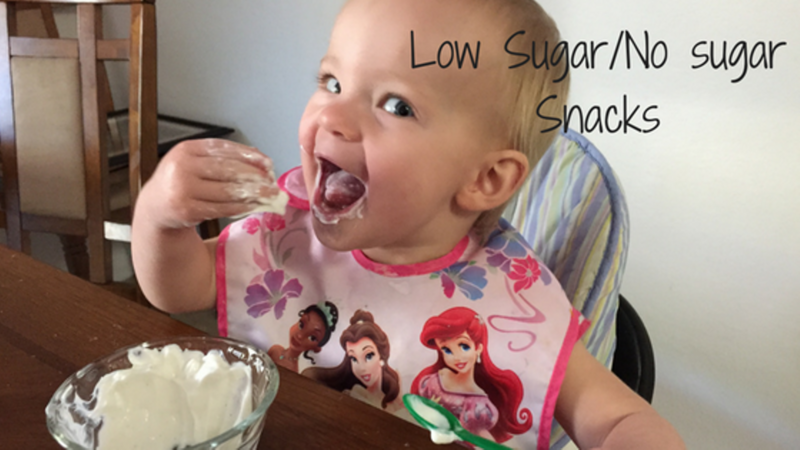 Snacking and better food choices for our kids is something we discuss heavily in my Mommy Feeding Family 2.0 program. You'll notice in the snacks listed below, healthy fruits and vegetables are usually paired with a source of fat and/or protein! This is important for our kids. 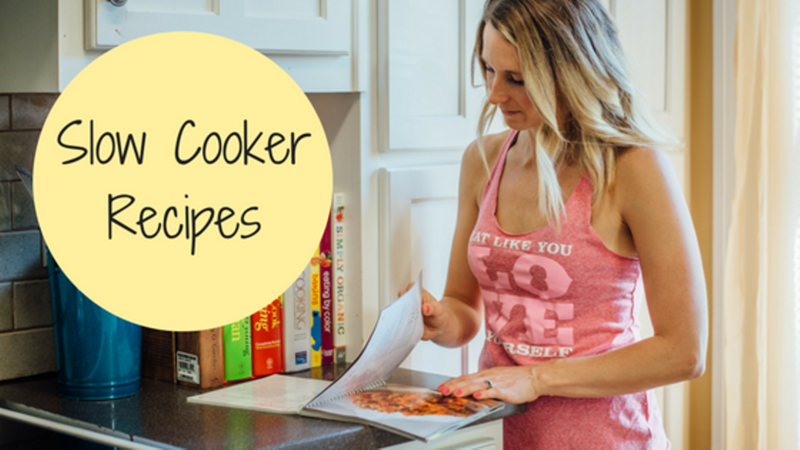 If you are busy mom, always on the go, or your professional life leaves you little time to prepare healthy meals…dust off your slow cooker! No need to stress about making time to cook. 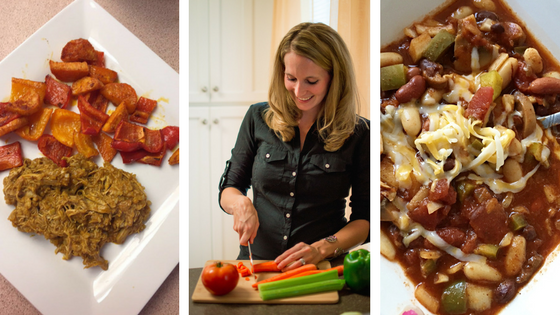 Your slow cooker has your back! Place all ingredients in slow cooker, cover, and cook on low for 6-7 hours or on high for 3-4 hours. Serve in a sprouted grain wrap or over a bed of dark, leafy greens for a chicken fajita salad. Sprinkle with shredded cheddar cheese (or your favorite dairy-free substitute), fresh diced tomato, and avocado slices. YUM! 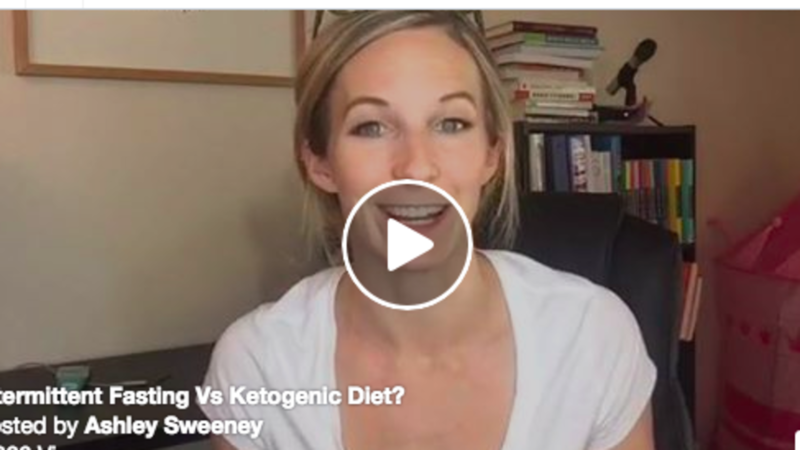 In this video, I explain what the differences are between a ketogenic diet and intermittent fasting. 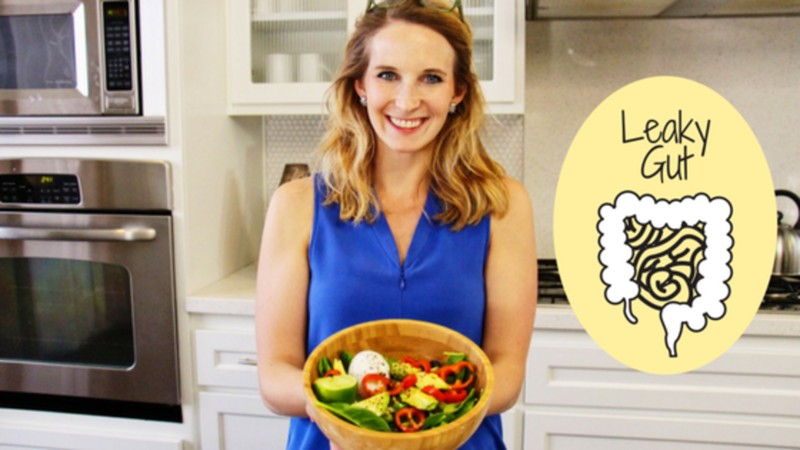 I explain how you can use them together if getting into a state of ketosis is your goal, or how they can be used separately. 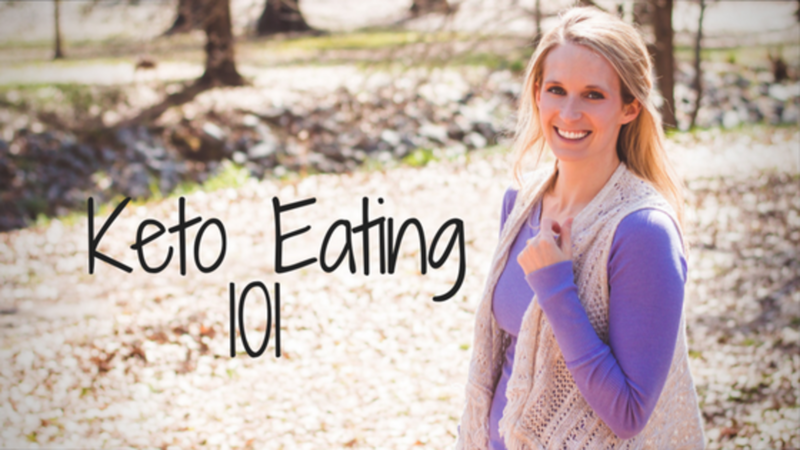 Have you ever heard of a ketogenic diet or a keto eating? If so, it may have sounded a little scary or intimidating.. let me explain. I've been talking a lot about this on Facebook and even did a live video recently on this topic, which you can watch here. To put those numbers into perspective the typical American is eating upwards of 60% of calories from carbs. What happens when we significantly decrease carb intake? The body breaks down carbs into sugar producing glucose, which is your body’s go-to source of energy. With moderate protein intake and very little carbs, there is no glucose being produced for fuel, and the body goes into a state of ketosis. It can be overwhelming when you are first trying to shop for a new nutrition plan, eating plan or meal plan. Even just deciding to make that switch to eat less junk food and more whole foods, can seem like a burden, stressful at the grocery store, and appears to be more expensive at first. 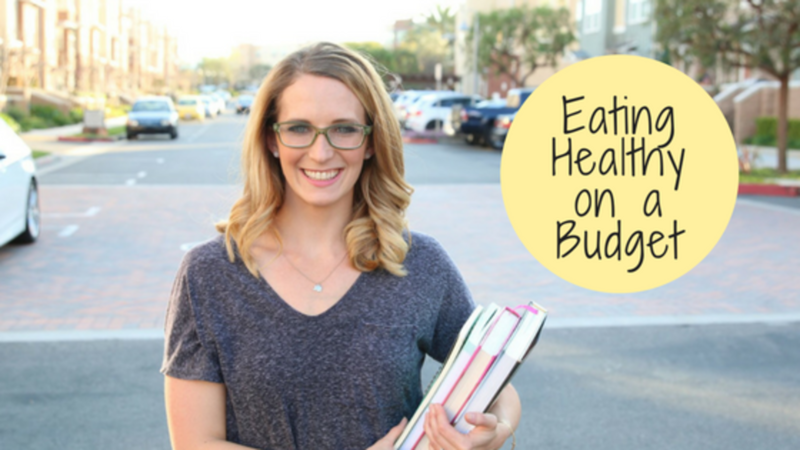 Hopefully my tips will show you that there are plenty of ways to eat healthy while on a budget! 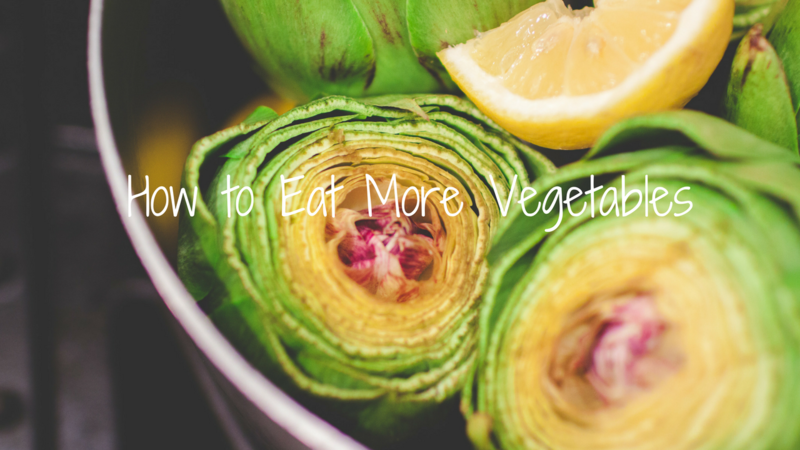 Fresh vegetables and fruit: Fruits & veggies ideally should be bought at least once or twice each week, preferably in season, to ensure optimal taste and nutrition. I know that that doesn’t always happen though. Frozen and canned fruits and veggies work great! When using canned fruits & veggies, make sure to rinse to remove extra sodium or sugars. Meat and fish: Buy in bulk. Cook your recipes in double batches, freeze and store for later in the week. Canned fish (wild caught) is a great addition for your protein! Sounds pretty icky, right?! So what is leaky gut syndrome? Is the gut actually leaking? Leaking what and where? Can it be stopped? Leaky gut syndrome has to do with the permeability of the intestines, which act as a barrier between the gut and the bloodstream. Imagine the intestinal lining as a net. In a person with a healthy gut, the holes of the net are extremely tiny and only allow certain particles into the bloodstream. In a person with leaky gut syndrome, the holes of the net are much larger and allow particles to “leak” into bloodstream that do not belong there, such as bad bacteria, toxins, and undigested food.